Improvements are in the pipeline for University of Nottingham colleagues who use the Business Travel and Expenses workspace to book train journeys. Work is due to be completed in partnership with TrainLine for Business — a user-friendly service that many customers will already be familiar with. The key changes will mean that users will no longer have to ‘pay and claim’ as they had to previously. Instead, a booking can be made using just a project code and a file will be passed into the finance system by the Travel and Expenses Team. This change will result in a time saving, especially for regular train users, as well as a more streamlined workflow between users and the Finance Team. 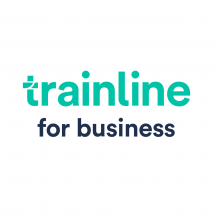 Jeannette Harrison, Travel and Expense Services Manager at the University of Nottingham, said: “The switch to Trainline for Business will enable us to improve the service in a number of hidden ways as well as the great improvements for our customers. “Last month alone we accommodated 750 passengers on trains across the country. “We should take this opportunity to thank our passengers for using mobile phone tickets as much as possible to reduce printing and posting. We are also happy to see customers booking specific travel times as opposed to anytime tickets which dramatically reduces cost. Regular users of the travel and expenses services should be aware of changes to the University’s Travel and Expenses Policy which includes First Class travel exceptions, mileage limits and allowance, and the claims procedure. One of the more significant policy changes reduces the period of time in which a person can claim from six months to three months. Further improvements are also expected to be launched in the coming months: full updates can be found at the Travel and Expenses workspace page.